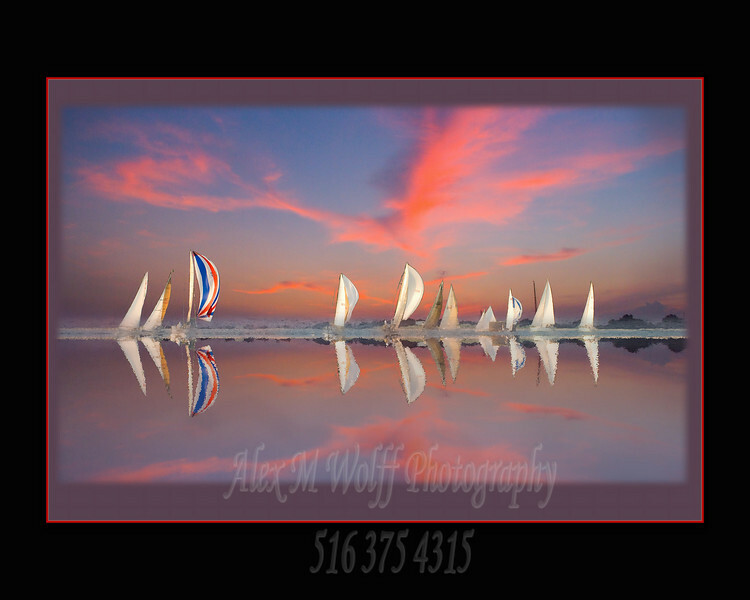 This was taken during the wednesday night racing series for Sagamore Yacht Club in Oyster Bay, NY. It is actually 2 photos taken about 20 minutes and 180 degrees apart just before sunset. I have played with it a bit. Beautiful shot and great pp. Beautiful image - composition and colors. Really lovely composition. Great colors and reflections. wow...wonderful colors and reflections..Awesome image!